359 pages! 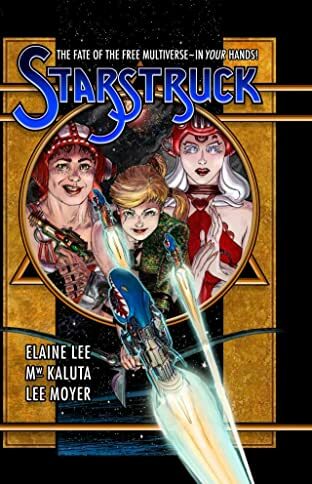 Collecting all 13 issues of the completely remastered Starstruck series by Elaine Lee and Michael Wm. Kaluta. 360 pages of Starstruck and Galactic Girl Guides adventures, covers, pin-ups, glossary, postcards, and so much more! A truly comprehensive collection of this material in one grand volume. This beautiful book features some of the finest art ever put to paper by Kaluta, including many pages that were never printed in the original run. Additionally, Kaluta painstakingly added approximately 20% of art to many pages to ensure the aspect ratio of the comic would be consistent and correct. 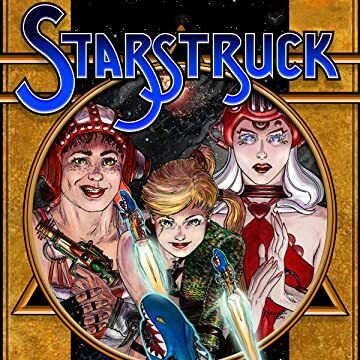 The end result is unlike anything you've ever experienced, a head-spinning, synapse-snapping, soul-searing ride to a world like no other... the world of Starstruck.